Fill out their form to receive a free Solexx greenhouse panel and catalog. Promote healthier plant growth and save energy with Solexx Greenhouses. This one should arrive in 4-10 weeks. 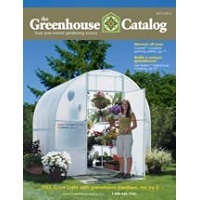 I would like to see your catalog of greenhouses.